An eighty-year-old lady had a trivial fall at home in Jamshedpur and started having back pain. Three to four days later the pain in back got worsened. She was taken to a hospital in Jamshedpur and diagnosed an osteoporotic fracture of L1 vertebra. The treating doctor advised complete bed rest for 6 weeks. However, even three weeks later the pain persisted and was shifted to one of the best hospitals for spinal surgery, Fortis Hospital under Dr. Amitabha Chanda. An MRI was repeated along with the CT scan and an X-ray of spine, which showed a burst fracture of L1 vertebra and retropulsion of bone fragment into spinal canal. Pedicle screws were inserted in the bodies of D10, D11, D12, L2 and L4 bodies. Screws could not be placed in L3 as the body of L3 vertebra was attenuated by previous osteoporotic collapse. Decompression was done. Kyphosis was corrected by connecting rods and transverse connector. The postoperative X-rays in standing position looked excellent. The patient showed an outstanding recovery and soon became ambulatory. Prolonged bed rest is an old-fashioned treatment. Moreover, prolonged rest, especially in elderly patients, can be extremely hazardous leading to pneumonia, deep vein thrombosis and bed sore. In this type of cases if the fracture is stable and there is no retropulsion of fracture fragment in the spinal canal, vertebroplasty is always recommended. However, if the fracture is unstable and/or there is retropulsion of bone fragment into the canal, the spine should be stabilized and spinal cord should be decompressed. Thus a spinal decompression and fixation are necessary using pedicle screw and rods. However, the problem was with the bones which were osteoporotic. In osteoporotic bone the chance of screw pull-out is always high. To solve this problem, a different technique was applied. Fenestrated screws through which bone cement was injected, was used to rule out any chances of screw pull out. The patient is a 28 year old factory worker who developed progressively worsening twitching of the right side of the face for the past 3 years. Initially, the twitches involved the right upper eyelid, and then gradually progressed to affect the whole of the right eye and continuing downwards to involve the right cheek and side of the mouth, with rising difficulty in speaking, eating and carrying out his normal activities because of the severe and continuous twitching. 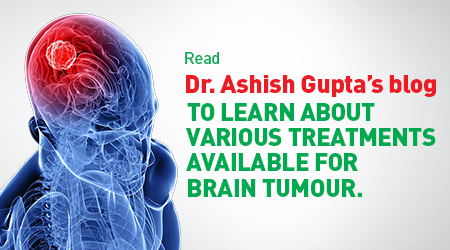 He consulted a number of general physicians and subsequently a neurologist, but was not helped by any medication. In fact, the medications made him feel more drowsy and unwell! He was then referred for a neurosurgical opinion, to Fortis, one of the best hospitals for spinal surgery. 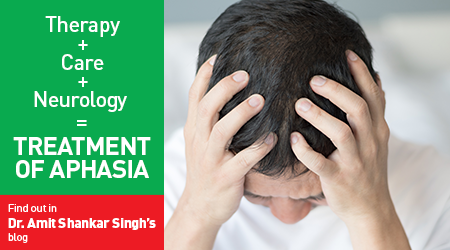 In Fortis, under Dr. Vijay Kumar, he was diagnosed to have Hemifacial Spasms. This is a rare neuromuscular disease affecting the facial nerve. The incidence of this disease is thought to be about 8 per million in the population. There are many theories about the cause of this disease. However, the most widely accepted theory is that there is ephaptic transmission within a demyelinated segment of the nerve close to its root entry zone in the brain stem. This is postulated to be caused by a vessel loop pressing on the nerve in the root entry zone. Surgical treatment of this disease is by a procedure called a microvascular decompression of the facial nerve. In this procedure, a small opening is made in the back of the skull, often under navigation control. Under the operating microscope, which provides enhanced illumination and magnification of critical nerves in this very complex part of the brain, the facial nerve is identified close to its entry into the brain stem. The loop of vessel pressing into the nerve in this region is identified. It is then gently dissected off the nerve. To prevent the vessel from coming back into contact with the nerve, a small piece of Teflon is wrapped around the nerve. After due explanation of the procedure and the potential risks, the patient successfully underwent this procedure on 22nd august 2015 at Fortis Hospital, Kolkata. He is now cured of his problem of facial twitching. He is back at work and happy! The treatment of this condition is initially with medications. However, most patients do not respond satisfactorily to medications and also develop side- effects from the medicines. Some patients are helped by Botox injections to the affected muscles. This treatment causes a temporary paralysis of the muscles, but the effect usually lasts for 2-3 months and the injections then need to be repeated. The Botox injections are also quite expensive. Posted on December 3, 2015 by Fortis. This entry was posted in Brain and Spine Health. Bookmark the permalink.